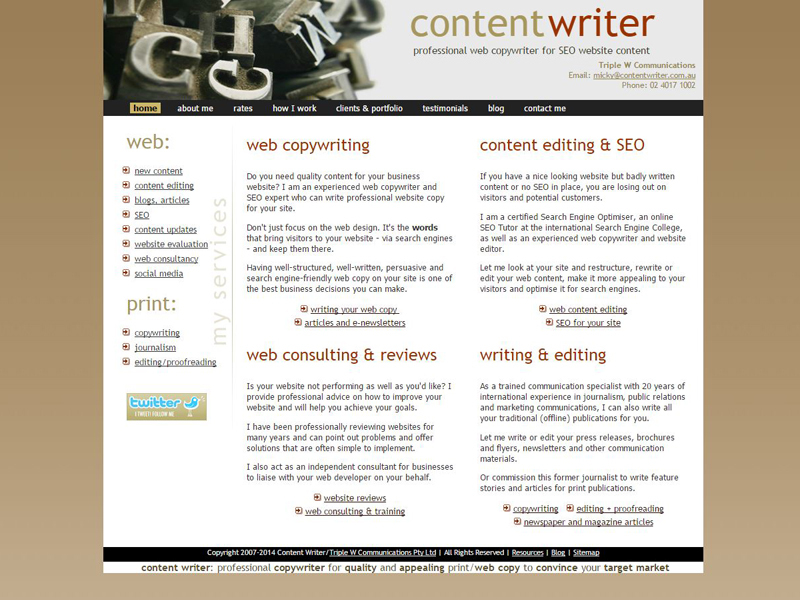 The 8th of the 8th marks the anniversary of my business: I officially started my SEO copywriting & web consultancy business on 08/08/2008. 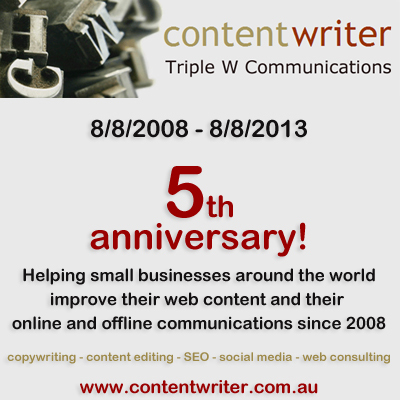 So today is Content Writer’s 3rd birthday. My business has enjoyed steady success right from the start and I’m still really happy doing what I do. There has never been a moment that I have been without work – but luckily enough I have been able to take a few short breaks while putting new projects on hold for a while. I have however also sacrificed quite a few evenings and weekends to work and my goal for year 4 is to plan my work better and not to agree to deadlines that are too tight, so that there is enough time to finish work during normal business hours. 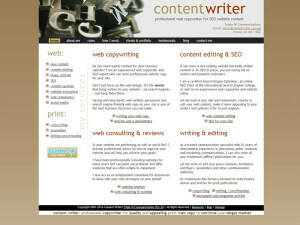 Because my website continues to perform very well in search engines, more clients than I can take on find me via Google and I have never needed to advertise my business.